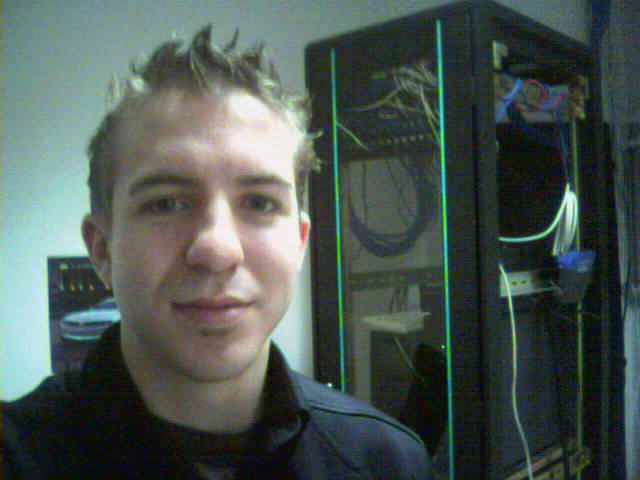 2006 – After my employer downsized and moved to a smaller suite. If you look close you can see the Telecor system with a keyboard sitting on top of it. 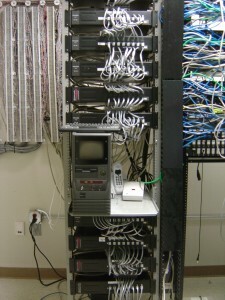 A number of years ago I used to work on a phone system called the VS1. While the brand is currently “Telecor”, it has gone through several name changes over the years, starting off as the Dash Open Phone System (OPS) and then the Picazo VS1, with the internals staying pretty much the same. Interestingly, the underlying operating system of the VS1 is DOS based! (DR-DOS to be specific), so I knew my way around it immediately, having grown up with MS-DOS. The form-factor is a PC mini-tower with built-in tiny monochrome monitor (if you are lucky!) and specialized ISA hardware cards. It also has an ISA modem and some rickety Windows software to go along with it which allows programming via a basic GUI. Over the years I have had clients in 3 states and have setup about a dozen T1 lines and countless POTS lines, hundreds of display phone extensions and also my share of modems, network cards, etc. During that time I came across a number of interesting scenarios while troubleshooting units that were misbehaving, repairing equipment I bought off Ebay, or setting up some interesting configuration for a client. If I get some time maybe I will post some stories or tech fixes and provide some solutions to those of you who still run a VS1 phone system (I know you’re out there!). Feel free to bookmark my site as a reference should you need the advice of someone who has built these systems from the ground up. My rates are reasonable, I assure you. If you wish to view all the posts I have made on this subject, simply click HERE. Help. I have a Picazo phone system and I need someone to install it in my new office. The office is in Los Angeles. Is there a list of installers somewhere? I have an old Picazo system that I would like to sell. Do you know someone that might be interested? Or would you be interested in buying it to canibalize for your repairs? Thanks! I don’t know anyone who needs any Telecor/Picazo equipment at this time, myself included, but that could easily change in the future. I’ll keep your info on hand. You might want to try Ebaying it..just set a high reserve so you’re not giving it away. I can’t change voicemail passcode on an extension (104). No one can remember it either. Any suggestions will be appreciated. Thank You! The passcodes are located in text files on the file system. You’ll need to dial into the system using Tel Site and download that extension’s text file and look inside it. I think the file you want is in the VM directory..they’ll be called VM104***etc. I’m probably slightly off base since I haven’t looked at the file system in a long time, but if you poke around a little you should be able to figure it out. Thanks Jay. I’d forgotten about that little gem. Commands like that remind me of all the shortcuts I used to use in DOS 6.22 which is fitting I suppose since the Telecor OS is basically Caldera DR-DOS. One of the most painful things I ever did with a Telecor system was to reload the OS. NEVER. AGAIN. I have some old Dash OPS system parts I’m told are functional. Do you think these have any re-sell value now? I’m having a hard time finding any information on this system and can’t really find them sold anywhere. The last time I listed some gear on Ebay I didn’t get but a couple views and no bids. Doesn’t mean that yours won’t sell but I know it’s tough out there. I would call the VS1 support line (info above) and see if they have a Dealer in your area. Maybe your local Dealer is looking for what you have. Good luck! Are you still there and do you still have parts? I don’t personally, but let me know what you are looking for and I can ask around for you. I sent you an email but I hope you already saw the post by Jonathan below and contacted him directly. He may be able to help. Let me know! If you need parts, I may have what you need. I have several parts systems and phones that I am selling off. I can also help program if you have a dial-in modem in your system. Otherwise I can try to walk you through some of it. I have many phones, at least 2 (maybe 3) port expansion units, and two systems. Email if you are interested in any or all and I can provide more details. I just upgraded to a switchvox voip phone system. 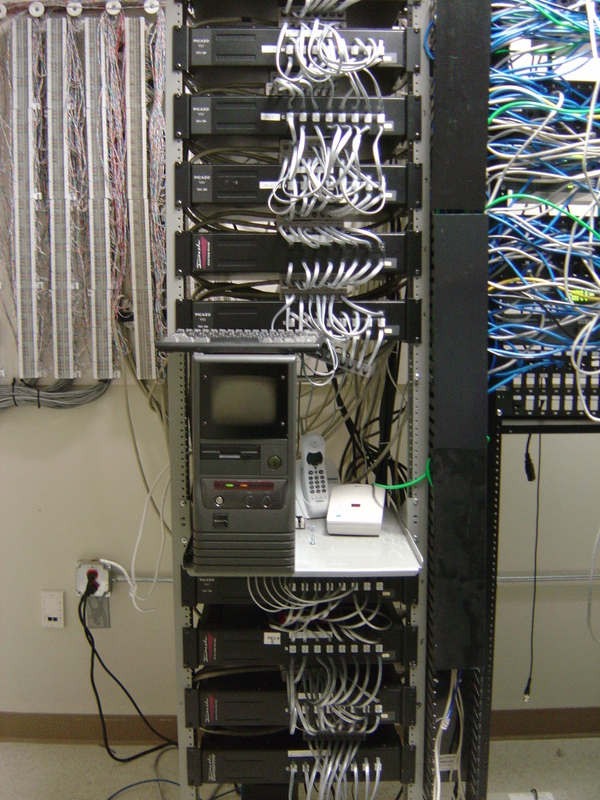 I installed a dash/picazo system back in 1997, One of the most stable phone systems I supported.